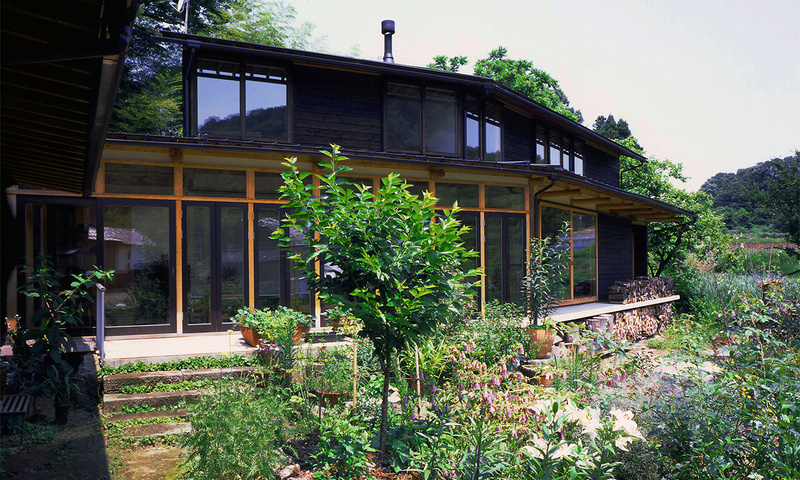 We aimed to design a house that can breathe in the scenery of a country village, with a fan shape that would fit well into the land form, an exterior wall made of cedar clapboards, and a frame structure made of polished logs that incorporate nature. 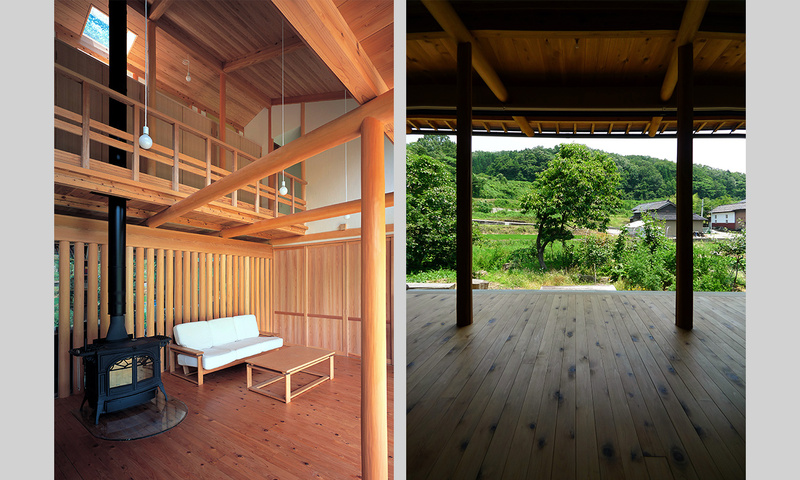 The building’s fan shape retains the repeated log beams through the inclusion of two focal points, while itself containing a Japanese rectangular room. At the same time, the building avoids symmetry while also featuring good views from each room. The client requested the use of logs in their house. An advantage of using log columns is that they can fit well, even with beams joining from any angle. As we could not find the right timber suitable for this space among the cedar logs from Ishikawa prefecture, we visited the Kitayama Log Productive Corporative in Kyoto and selected 13 seven-meter- long logs for the beams, with a medium 180-mm diameter, and in which the dimensional difference between the two cut ends is no more than 45 mm. 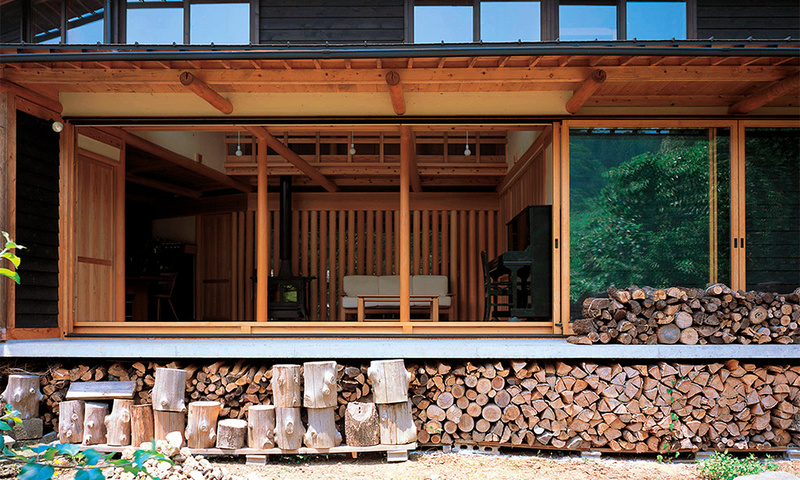 The use of Kitayama polished logs is normally limited to Japanese tearooms or alcoves in traditional Japanese houses, and thus demand for them has been falling year on year, so the mountains where the trees were planted have been neglected. 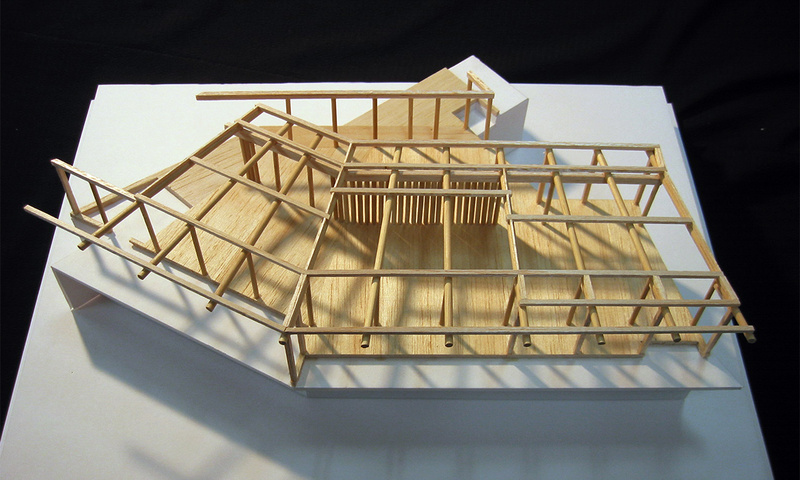 We therefore used 100 polished logs to provide an architectural example of where a large number could be used. 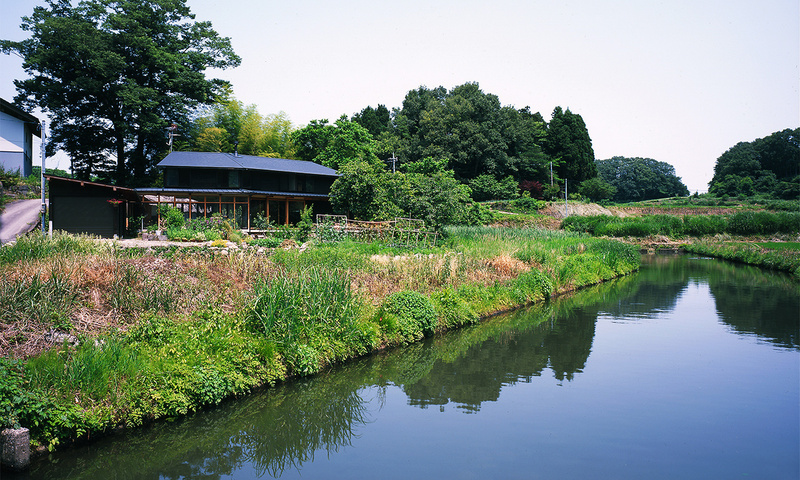 The life in this house lies with the scenery and the four seasons. 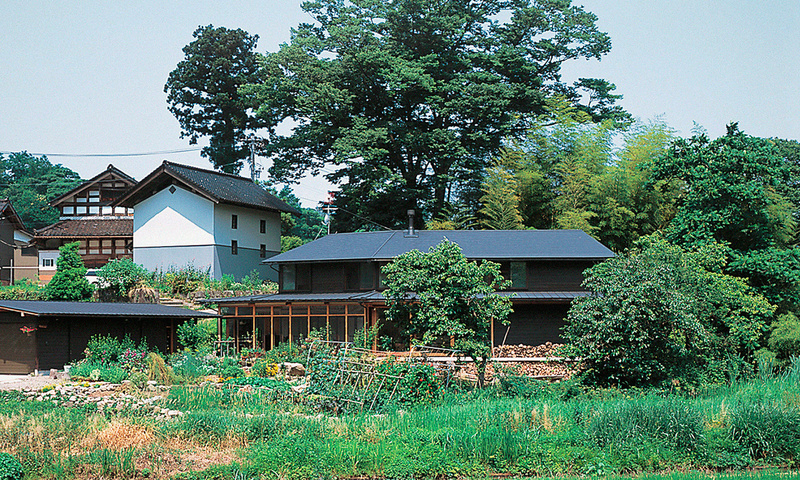 As life is carried on in a series of connections between the inside and outside, the creations of the garden and the vegetable fields are continued with the same intensity as the inside of the house. 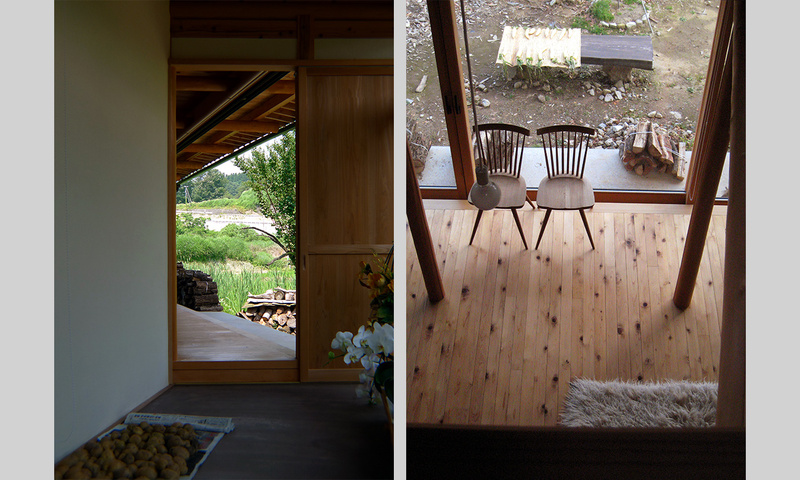 Copyright © Tanishige Architect Office All rights reserved.